The instruments used vary between the different arrangements. But it is necessary to beware that saxhorns have different names in French and English so that the soprano saxhorn in French is the English contralto! Some of the repertoire, particular the English pieces, called for cornets on the top line rather than saxhorns and at one point Anneke Scott plays a ventil horn which was actually made by Distin. Part of the process for the performers involved the exploration of their instruments and what they could do, creating arrangements in dynamic process. 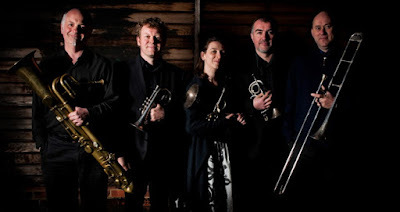 The necessity of creating arrangements is something that would be familiar to players in a modern brass quintet, but is rather less usual for period instrument players (the members of the band play with many of the major period instrument groups). Anneke Scott described it as 'one of the most exciting and creative experiences I’ve been involved in'. Modern brass groups owe a great deal to the Distin family, both for the creation of repertoire and the promotion of Sax's new instruments, and members of the saxhorn family (such as the tenor horn) are still used in brass bands. And what the disc gives us is a lovely glimpse into the early history of the brass band, and much of the repertoire on disc will be familiar (in style at least) to those who enjoy listening to brass band music. But there is a difference, the very particular quality which the period instruments bring. The saxhorn has a very mellow sound and, intentionally, blends well with other brass instruments so that what we have here is a lovely rich mellow sound (many of the instruments will also be of narrow bore than their modern equivalents). Some of the pieces put a real smile on the face, notably those by members of the Distin family and by Adolph Sax, they are very much period pieces. And it is startling at first to come across Verdi's Requiem arranged for brass ensemble! Overall this is a fascinating exploration of a genre and a group of instruments. 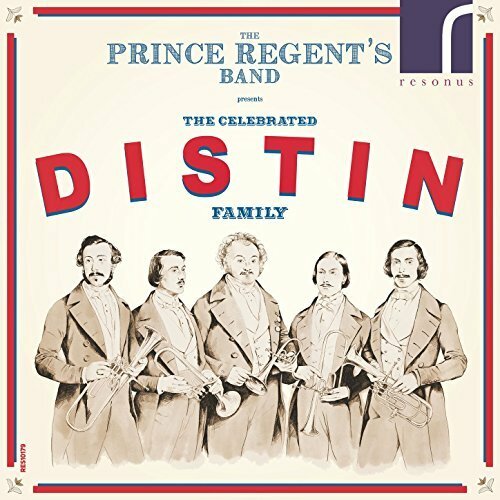 Not everyone will want to listen regularly to this particular combination of pieces, but there is no denying the superb musicianship of the members of The Prince Regent's Band, nor the importance of the Distin family. The Prince Regent's Band's website has a lovely selection of videos introducing the various instruments they play, the repertoire and the Distin family, well worth exploring. You can read more about the creation of this disc in my recent interview with Anneke Scott. The Prince Regent's Band is playing at Kensington Palace as part of the Christmas celebrations there, performing Victorian carols and seasonal music, between 27 December and 2 January at regular slots during the day, see the Kensington Palace website for times and further details. The disc is released on 1/12/2017, and is available from Amazon.co.uk.